The ski resort of Baqueira Beret, is one of the best known in the Catalan Pyrenees. Is also the unique of all nestled on the northern slopes of the Pyrenees, the more favorable for snowfall. The station has a total of 78 tracks, perfectly adapted for different levels. Beginners will find six green runs for beginners. At the intermediate level of tracks found 36 and 29 tracks respectively for the blue and red. Finally the more experienced will find a total of 7 tracks with black cataloging. The sum total of business varies depending km of the season at between 120km and 138km of slopes for skiing and snowboarding. The average price of the day on the slopes is 46 €. If you are looking for accommodation to enjoy their tracks, we recommend you to take a look at our cottages in Lleida. 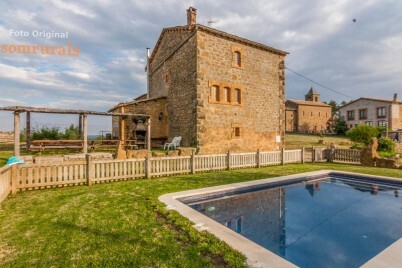 Rural farmhouse for groups, ideal for relaxing and unwinding. Swimming pool, farm, playground and barbecue. Comfort and nature in one house. Small rural house with fireplace and a cozy dining room. 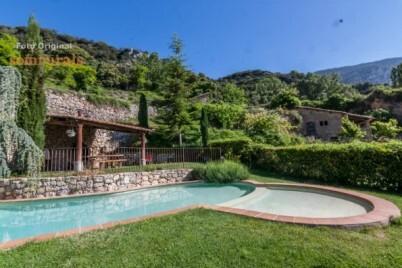 Surrounded by mountains and nature with pool and barbecue.